Plastic and driftnets collected by Pam Longobardi from Hawaii and Poros beach in Kefalonia. 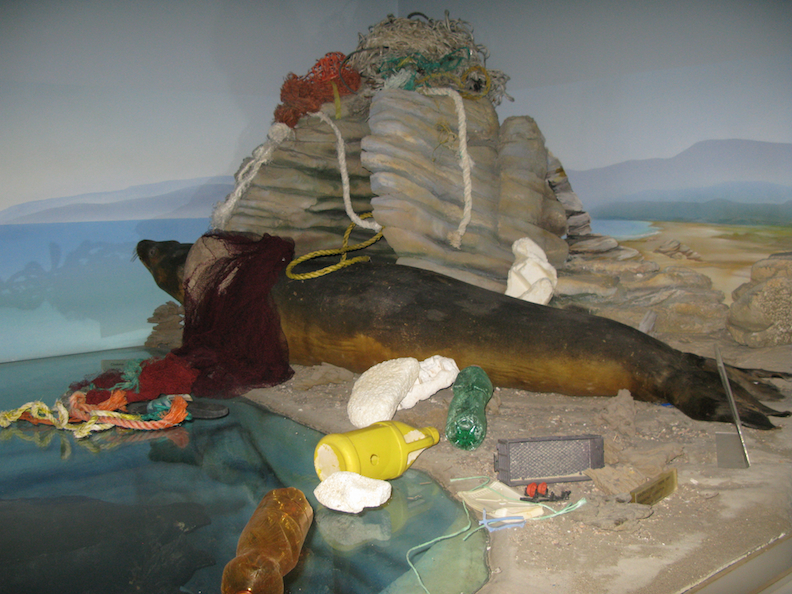 Intervention of collected plastic artifacts arranged within Goulandris Museum of Natural History diarama. Entanglement in abandoned or discarded fishing nets and ingestion of vagrant floating plastic is a slow and painful death for many aquatic creatures. Sea turtles and land animals often eat plastic bags which appear like jellyfish or other food sources.